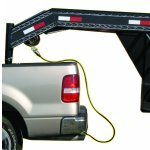 For use with tow vehicles equipped with a gooseneck or 5th wheel hitch located in the bed. 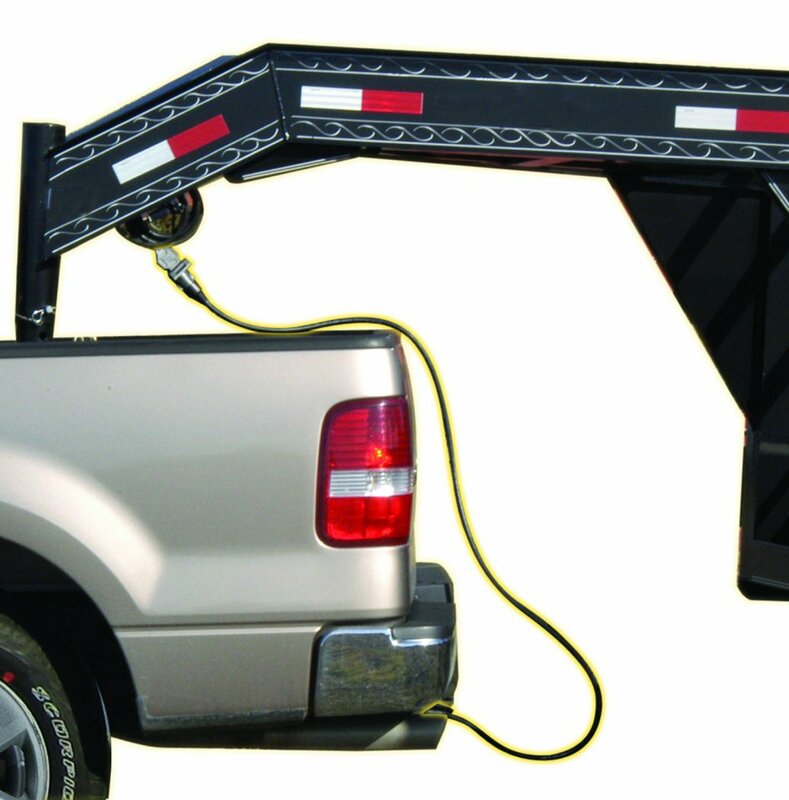 Extends the reach of the trailer connector to the back of the tow vehicle bumper mount connector. 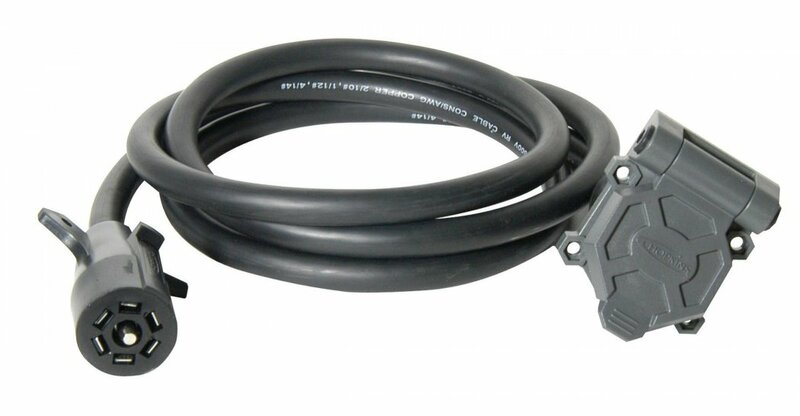 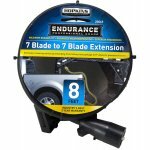 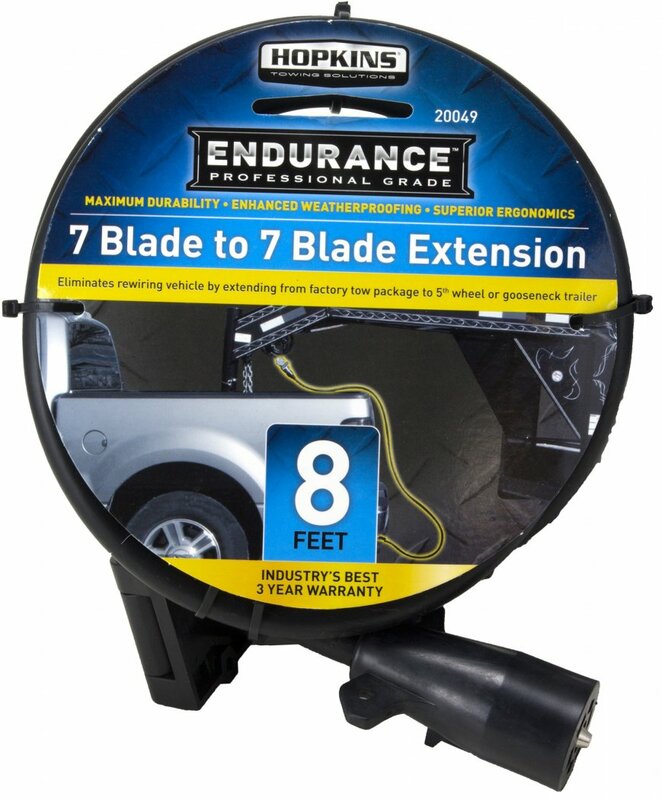 The heavy-duty connectors are weatherproof and the cable is jacketed for long lasting performance. 7 Blade connectors are typically used with large trailers and are the most common vehicle side connectors.